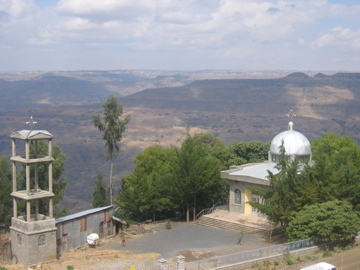 In 1998 a group of Ethiopians from Addis Abeba formed a voluntary committee to re-construct a historic church in the North Shewa Zone of Ethiopia. This church was built on the site of a much older church in the village of Workegur which was burned down by Ahmed Gragn in the 16th century. Upon completion of the Church of Saint Gabriel, some members of the committee observed the extreme poverty of the region and decided to re-organize themselves toward providing some assistance to the local people in the area. 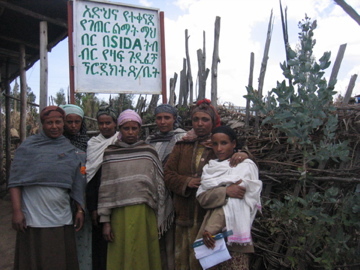 A Non-Governmental Organization was established and registered with the government of Ethiopia as ADHENO: Integrated Rural Development Association. The principal goal of this NGO is the elimination of poverty in the Northern Shewa region by providing the local population "the opportunity to use their labor to good purpose". The close interaction that ADHENO has with the local farmers, women, and youth, as well as the success of several well executed local projects have earned ADHENO a significant amount of credibility among the local population. The trust and cooperation of the local people have made ADHENO especially effective in implementing development projects in this region. Many of the projects including the school building, and phases I to III of the environmental rehabilitation projects were developed by ADHENO based on the specific request of the local population, who have subsequently been enthusiastic participants, supporters and beneficiaries of these projects. ADHENO has recently been awarded prizes by the local administration for its contributions to the community. A key success factor for ADHENO development projects has been very hands-on approach and a very close relationship with the local population. ADHENO listens to the local people to understand their needs and works directly with them to leverage their local knowledge to develop solutions. Local farmers, women, and youth have been organized into local committees that are responsible for managing and monitoring the various projects. For example the committee of farmers that monitors the environmental initiatives ensures that no local animals are allowed to graze on protected land. The members of these committees are given training on how to implement projects and manage finances. Thus far there are four such committees that have been formed. ADHENO staff also includes two community development workers that were hired from the community and are based in the project area. 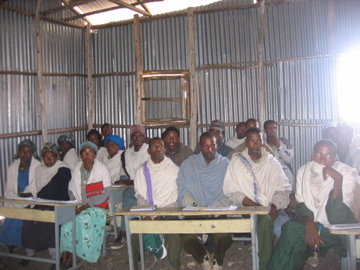 ADHENO has a small office (funded by SIDA) in the village of Workegur to coordinate project activity. Click here to view the ADHENO Team Profile.